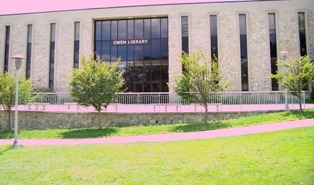 This page can show you how to searching for and find books Johnstown's Owen Library. Get It! 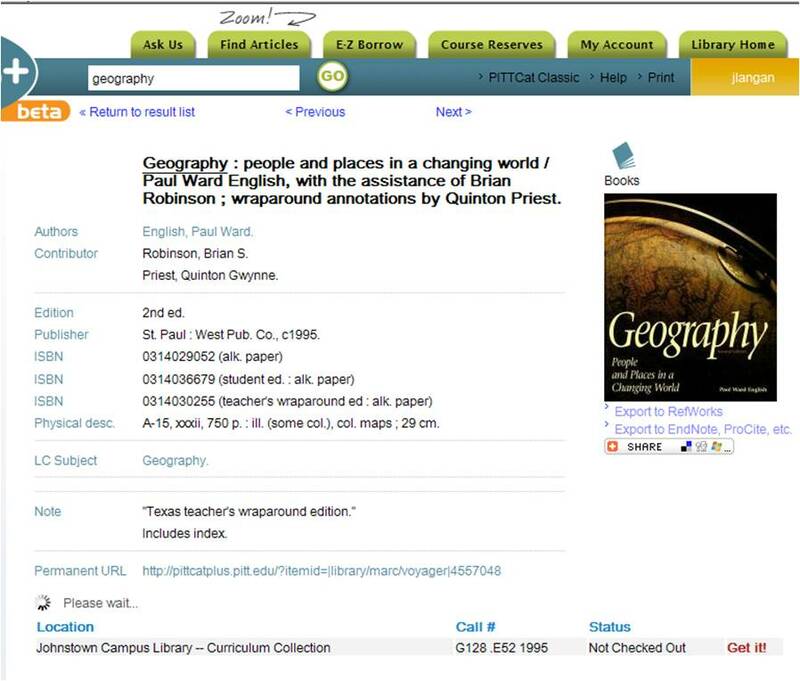 Use this to request a book from another Pitt library. Click on the Get It! symbol in the catalog record, and fill out the form. 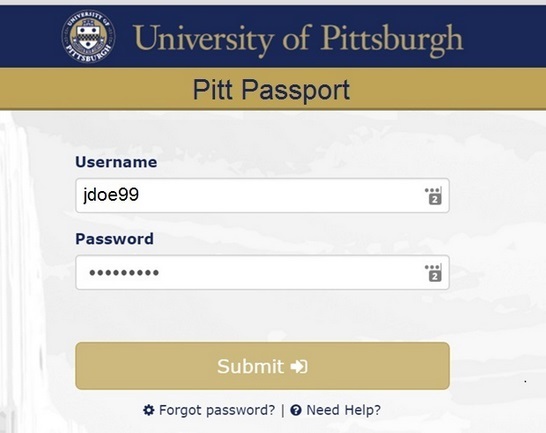 You will need your Pitt ID number to use Get It! EZ-Borrow – Borrow an item from one of 45 other university libraries -- fast! Great for textbooks! You will need your Pitt ID number to use EZ-Borrow. Interlibrary Loan – If EZ-Borrow doesn’t have what you need, you can order a book or article through the Requests from Other Libraries page. Type your search in the text box and click 'Go'. Add search terms to narrow your search. Refine results by selecting terms on the right to focus your results. You can focus your PittCat+ search results by using the Refine menus on the left side of the page. Select the characteristic you are seeking (like English language, or located at the Johnstown Campus) and the results will be reduced to reflect your choices. 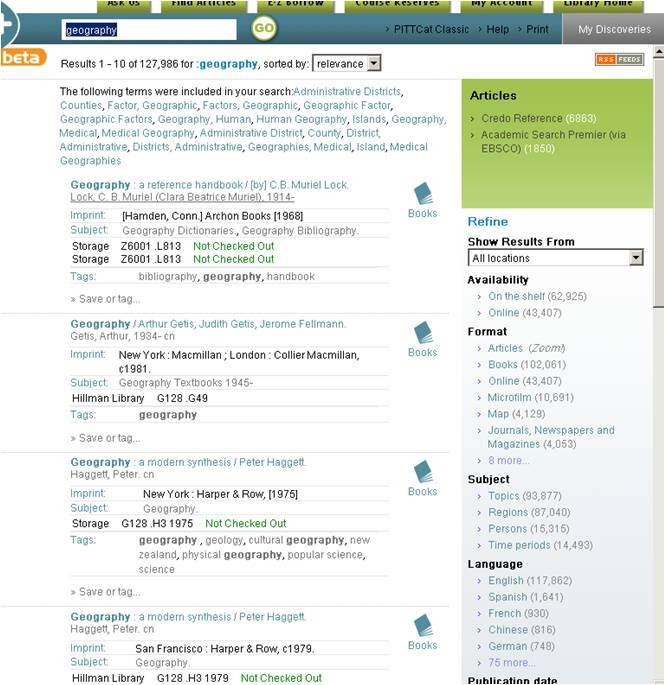 Click on the title of an item to see availability information, reviews, tables of contents, and to use Get It!. The tabs at the top of PittCat+ link to you lots of library services: Course Reserves, EZ Borrow, Zoom search, and My Library Account. For e-books, online journal or electronic items, just click on the link in the item record. FYI -- If you’re off-campus, you have to be logged into the Secure Remote Access to access any online materials.